Sea breeze and your feet in the sand… Fulfil your dream of getting married on the beach. At Samsara Beach Club, we will help you fulfil your dream and give you the opportunity to hold your reception on the beach. A relaxed and daytime event, but in a privileged setting with an exquisite menu. Contact us and celebrate the wedding reception you have always dreamed about on the beach. ● 1 parking space for the bride and groom. 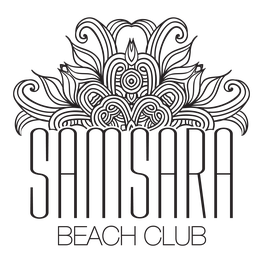 Celebrate your wedding at Samsara Beach Club!